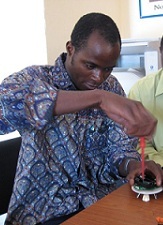 SOLTYS proposes the local assembly of its solar lamps to qualified partners. This approach allows to develop the employment and the local skills, while guaranteeing an optimal technical follow-up of the projects. If you are interested in this approach, please contact us by e-mail. - A room equipped with tables and shelves. 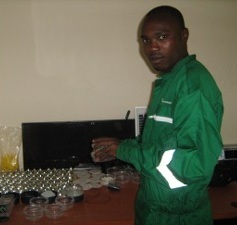 - Staff with basic skills of mechanical assembly and electricity. 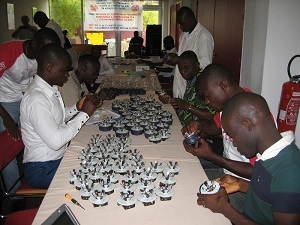 - Capacity of investment to start the workshop with a minimum of 500 solar lamps. - Simple tools as screwdrivers and voltmeter. The assembly can be widened to the other SOLTYS products : spotlights LED 12V and solar projectors / lampposts for the outside. It allows you to propose and to master a complete range of solar products, which will strengthen the commercial success of your company.